Under Armour is making the bold claim that it's finally "fixed zippers." And while its innovative new Magzip feature probably isn't going to change the entire world, it's still a vast improvement to clothing technology that hasn't evolved in in almost 100 years. It's also voodoo magic. 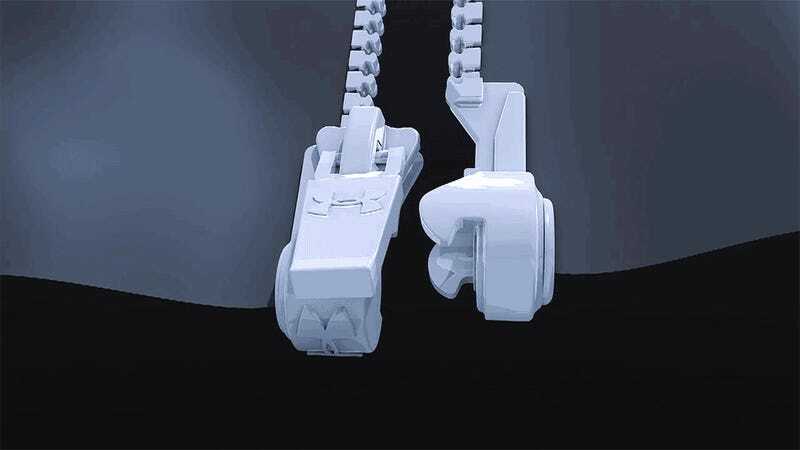 If you've ever fumbled trying to connect the two loose ends of a zipper—and really, who hasn't?—you'll immediately see the value in Under Armour's new approach that uses a strong magnet and a re-engineered clasp to automatically guide the two ends of a zipper together, allowing you to do up a coat with just one hand.